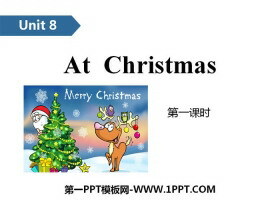 《At Christmas》PPT(第二课时) 第一部分内容：Introduce What do you do at Christmas? We go shopping and see Father Christmas. 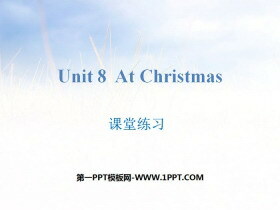 What do you do at Christmas? We wait for presents. 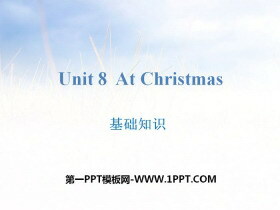 What do you do at Christmas? 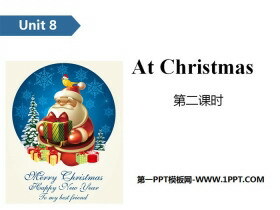 First,..
《At Christmas》PPT(第一课时) 第一部分内容：Introduce First, Next, Then, Finally ... ... ... At ChristmasPPT，第二部分内容：Words Put /pt/ 动词，表示放、表达、移动 常用短语：put in 提出，放入 put on 穿上，增加 ..
《At Christmas》课堂练习PPT 第一部分内容：词汇练习 一、补全单词并写出其汉语意思. 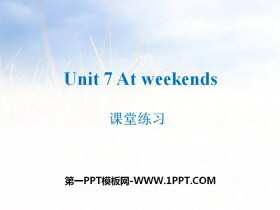 ( ) 1.n__ __ t A.xe B.ex C.se ___________________ ( ) 2.c__ __ d A.ro B.ra C.ar ___________________ ( ) 3.f__ __ ally A.in B.ni C..
《At weekends》PPT(第二课时) 第一部分内容：Introduce What do you do at weekends? I usually visit my grandparents. We often have dinner with our parents. What does Helen do at weekends? 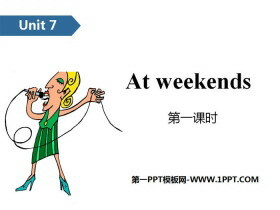 She always has dancing le..
《At weekends》PPT(第一课时) 第一部分内容：Introduce What do you do at weekends? I usually visit my grandparents. We often have dinner with our parents. What does Helen do at weekends? 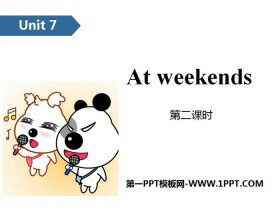 She always has dancing le..
《At weekends》课堂练习PPT 第一部分内容：词汇练习 一、英汉互译。 1.居住在 _______________ 2.拜访我的老师______________ 3.放风筝__________________ 4.去野餐__________________ 5.去看电影________________ 6.chat on ..
《At weekends》基础知识PPT 第一部分内容：重点单词 visit 拜访;参观 there 那里 grandparent 祖父;祖母;外祖父;外祖母 often 经常;常常 always 总是;一直 sometimes 有时 chat 聊天 Internet 网络,互联网 ... ... ... At wee..
《My e-friend》PPT(第二课时) 第一部分内容：Introduce Do you have an e-friend? Yes, I do. 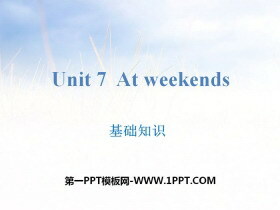 What subjects do you like? I like PE. Do you/they have ? Yes, I/they do. No, I/they dont. What subjects do you/they like?.. 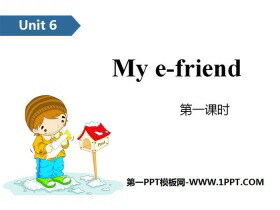 《My e-friend》PPT(第一课时) 第一部分内容：Introduce Does she have a brother ? Yes, she does. Does he like English? No, he doesnt. What subjects does he like? He likes Maths and PE. Does he/she have/like ? 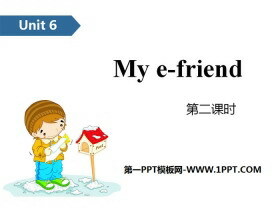 Yes,..
《My e-friend》课堂练习PPT 第一部分内容：词汇练习 一、选出下列单词中不同类的一项。 ( ) 1.A.Chinese B.English C.skate ( ) 2.A.boy B.warm C.cold ( ) 3.A.between B.beside C.hard ( ) 4.A.classroom B.bedroom C.music..
《My e-friend》基础知识PPT 第一部分内容：重点单词 Australia 澳大利亚 Canada 加拿大 China 中国 UK 英国 US 美国 send 发出(信件,邮件等) wait 等,等待 fishing 钓鱼,捕鱼 e-friend 网友 email 电子邮件 live 住,居住 stud..